1 Combine all ingredients except cheese and bread in medium bowl. 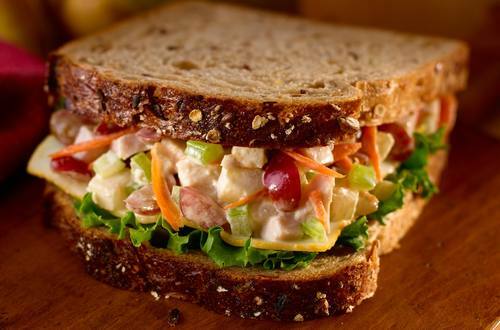 Evenly spoon turkey salad onto 4 bread slices. Top each with cheese, then remaining bread. Garnish, if desired, with lettuce.